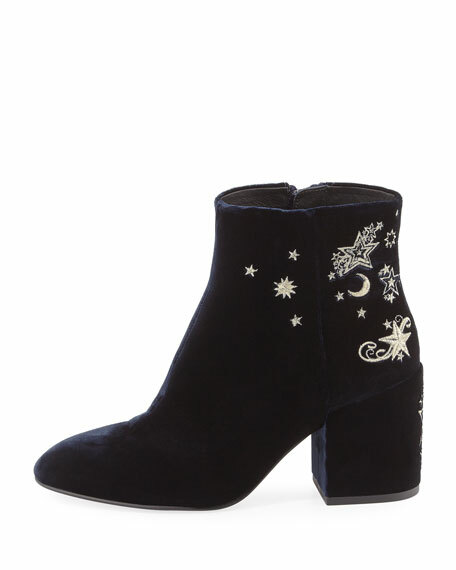 Ash "Elixir" velvet boot with metallic embroidery. For in-store inquiries, use sku #2175873. 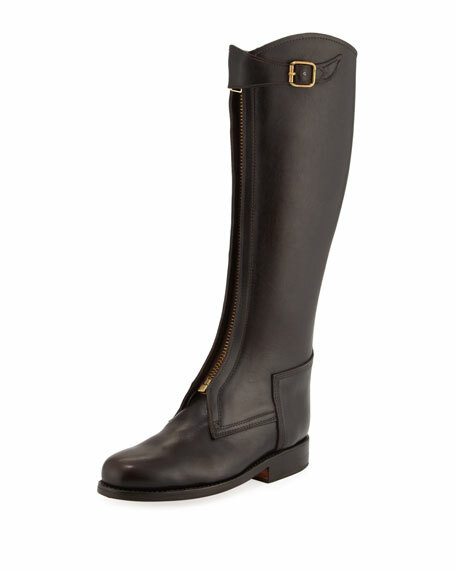 Andrew Marc leather boot. Round toe. Waxy lace-up front; pull tab in back. Branding at side. Leather lining and suede insole. 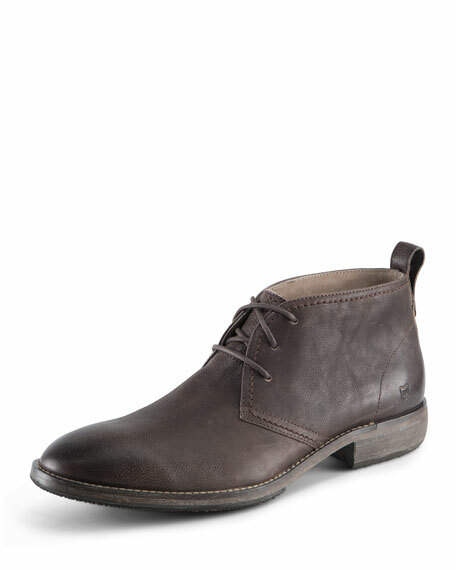 Leather mid-sole. Wood sole and heel. "Standard" is imported. 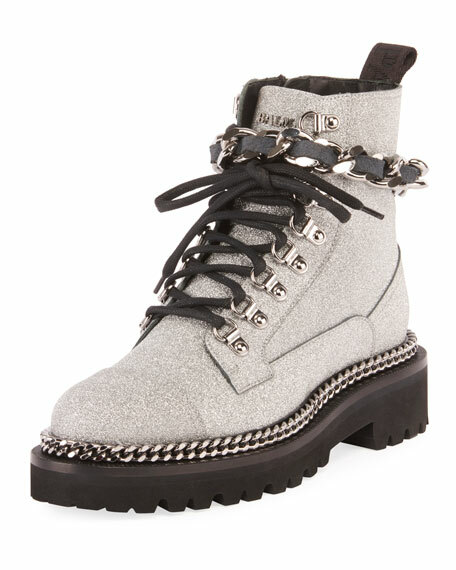 Balmain glittered leather army boot with curb-chain trim. 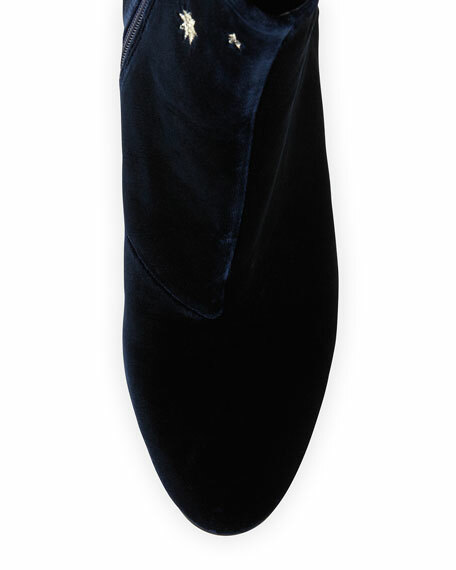 Lugged heel with platform. Round toe. Lace-up vamp. Side zip eases dress. Woven chain and leather strap around ankle. Logo grosgrain pull-tab at back collar. Leather lining. Lugged rubber outsole.